For the founders of Talbott Tea, Shane Talbott and Steve Nakisher, the belief that having tea should be a pampering experience runs deep. Talbott’s unique experience in the spa and salon industry has given him an incredible attention to the details, as is clear from the recipes for these Oprah Winfrey-backed tea leaves. Now available at Jamba Juice, Talbott Teas offer brilliant, bold flavors and deep drinking luxury. Talbott teas are infused with the flavor of full, intact leaves and dried fruits…even chocolate. The popular Blissful Blueberry loose-leaf tin features an inspiring blend that includes organic apple pieces, hibiscus, strawberry leaf, blueberry and cornflower petals for a tea experience that tastes just as good as it smells. 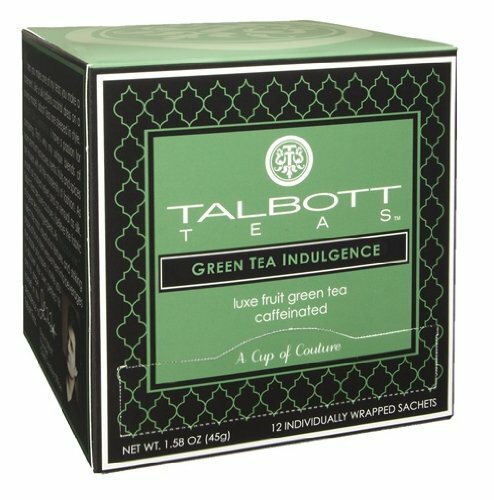 Purchase your Talbott Tea loose by the tin or boxed in sachets and enjoy all the rich antioxidants and flavor you love in your favorite tea. Enjoy the luxury of organic, flavorful tea anytime with this line of teas backed by the Oscars, Shark Tank, Mercedes-Benz, and Miss Winfrey herself.